Last month Jess, Ian and Anna ran the first of our exciting new APP Workforce Training days at St. Ann’s Hospital in North London. These days, commissioned by NHS Trusts from across the county, have been designed to equip medical professionals with an in depth understanding of all aspects of PP. 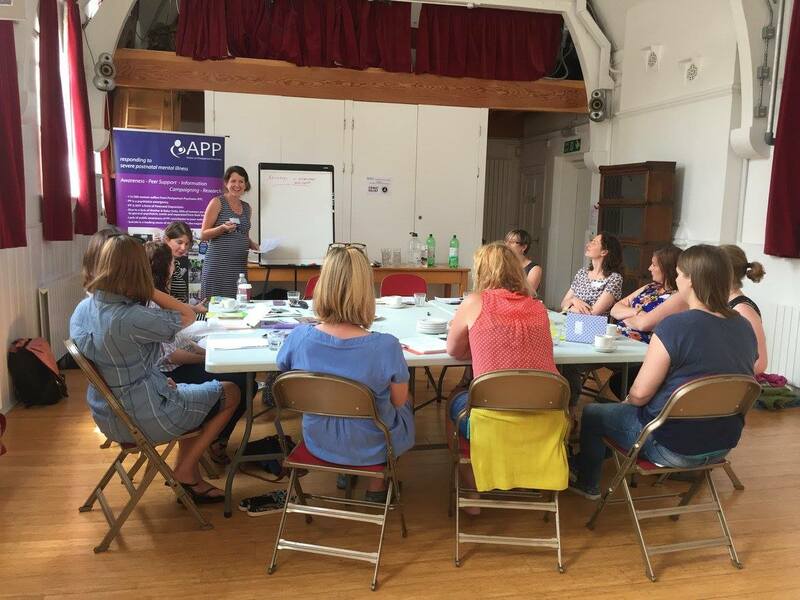 This first group of twenty spanned a broad spectrum of professional roles within the Perinatal Mental Health Service for this area, including Midwives, Social Workers, Health Visitors, Psychologists, Psychiatrists and CPN’s. Fiona & Henry raise awareness & a National Peer Support Award for APP! 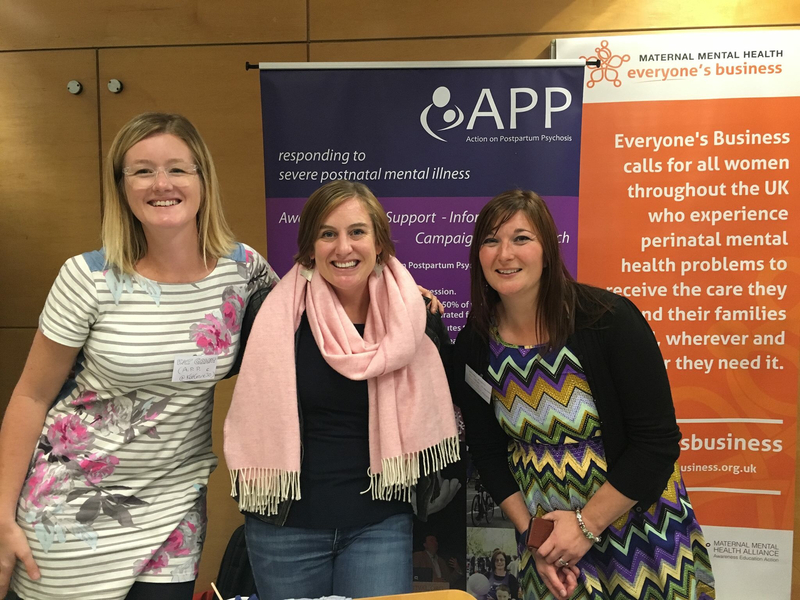 'APP attended the first Annual UK Maternal Mental Health Conference which was a sold-out event, with over 250 people converging on Imperial College, in London on 13th September 2017. I was looking forward to seeing others involved in APP, including our Trustee & Vice Chair of MMHA, Clare Dolman, Regional Rep & Media volunteers Kathryn Grant, Fiona Putnam and Eve Canavan, and those from other organisations involved in Perinatal Mental Health. It was a day full of passion, with so much expertise in the room, and a prestigious line-up of speakers from the UK and beyond. 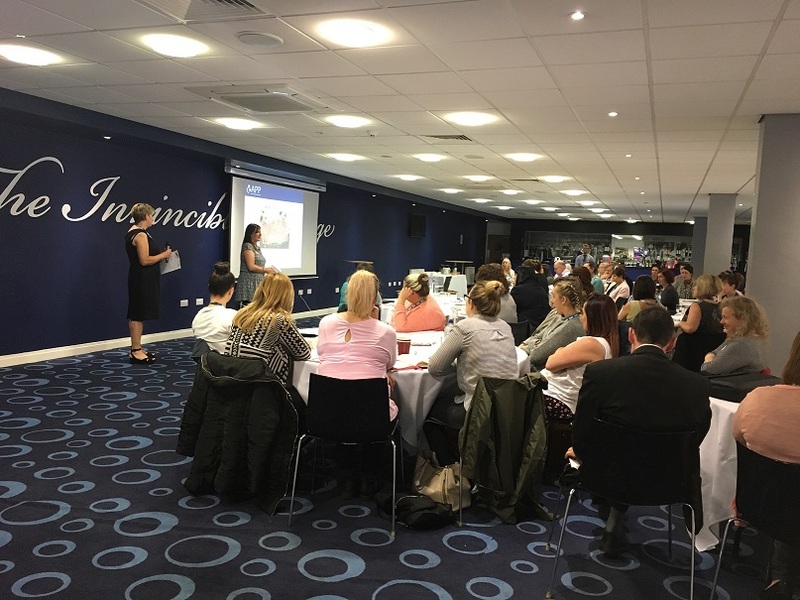 n the 3rd August 2017 Lancashire Care Trust invited a range of stakeholders, including people with lived experience, to a discussion day to work through pathways, priorities and good practice to ensure their new eight-bed perinatal mental health inpatient unit for Cumbria & Lancashire, and the experience of care, as effective as possible for everyone. 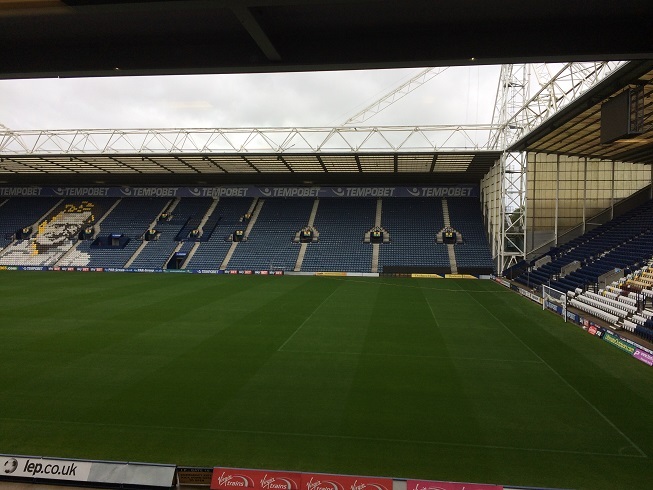 'It was a rainy, grey day as I drove over to Preston North End football club for the Lancashire Care Trust Perinatal Mental Health (PMH) event – hardly summer weather, but this is the UK after all, and being from Yorkshire, I have to say it was also due to being on the “wrong side” of the Pennines! APP had been invited earlier this year to become involved in the development of one of four new Mother & Baby Units (MBUs), with Lancashire Care Foundation Trust being the provider for a new unit in Chorley. The event was held as a discussion day to work through pathways, priorities, challenges and good practice to make the unit and the experience of care as effective as possible for everyone, so I was really keen to hear more about it and see and hear from other key stakeholders. I was also really pleased to be meeting two APP volunteers at the event, Jane and Gillian, who both experienced PP and are from the North-West. It was great to be able to link them with other professionals at the event as being some more local contacts for APP – we all left having given our details to be involved in the continued engagement work ahead of the new unit opening in 2018. 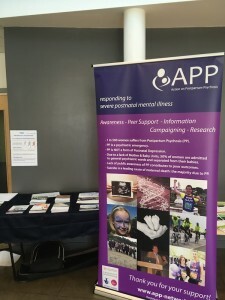 There were others with lived experience there too and it was nice to be able to give some APP literature to people directly affected, as well as the professionals in the room. We consistently get really good feedback about our peer support and Insider Guides, so it meant a lot to know what a difference it can make. There were also representatives from other voluntary and community organisations and I hope we all did a good job in getting the APP message out. Feedback from the group work in the afternoon particularly mentioned Gillian’s input and how the things she talked about and the support that professionals can give had really impacted on them. Well done Gillian! The morning was a very full session of speakers, introduced by the Trust’s Chief Executive, who had special dispensation to attend her Board meeting late – such is the priority for PMH and the interest and engagement from all involved. 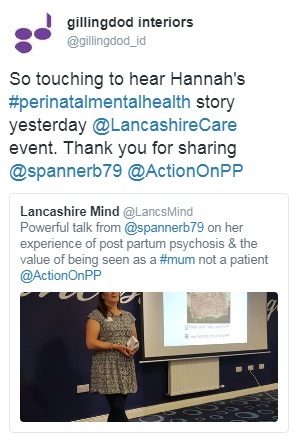 This was also reflected in the number of psychiatrists in attendance, both general and specialist perinatal, as I counted at least 6 from as far afield as the Midlands and Morpeth! Dr Giles Berrisford, Associate National Clinical Director with NHS England (NHSE) for Perinatal Mental Health, and APP’s Chair of Trustees, had been caught in traffic on the M6 so we swapped time-slots and I talked about my experience of PP and my involvement with APP, which seemed to be well received. The social media activity was also great to see, with some really touching comments. Giles’ presentation about the National Perspective followed, and we also heard from Leeds and Manchester about their services and shared learning about both in-patient and community services, as the new MBU will also offer Outreach. Dr Gillian Strachan, Consultant Psychiatrist with Lancs Care and a current PMH Bursary Holder with NHSE, kept the morning moving to time and we also heard about the development so far of the MBU. There was also an interesting presentation from the architects and designers about their vision for the Chorley MBU, and their engagement with other stakeholders including those with Lived Experience of PMH. The MBU & Outreach will cover Cumbria as well as Lancashire so it was especially valuable to hear about challenges such as travel and rurality, something I know from my experience living in rural North Yorkshire. Lunch was an opportunity for further networking which everyone seemed to take advantage of; with the room overlooking the football pitch, there was also a few mentions of people feeling that they were being disloyal to their team by being there! The group work in the afternoon, focussing on questions which were approached by people working in different teams, also produced lively discussion and feedback. Before long we were all headed home to various teams, towns and homes in the North-West (and me back to Yorkshire!) with a renewed passion and determination to make sure that women and their families have access to the best PMH care, as locally to them as possible. Thank-you to all at Lancashire Care Trust for having APP as part of your event and we look forward to further involvement and the MBU opening in 2018! 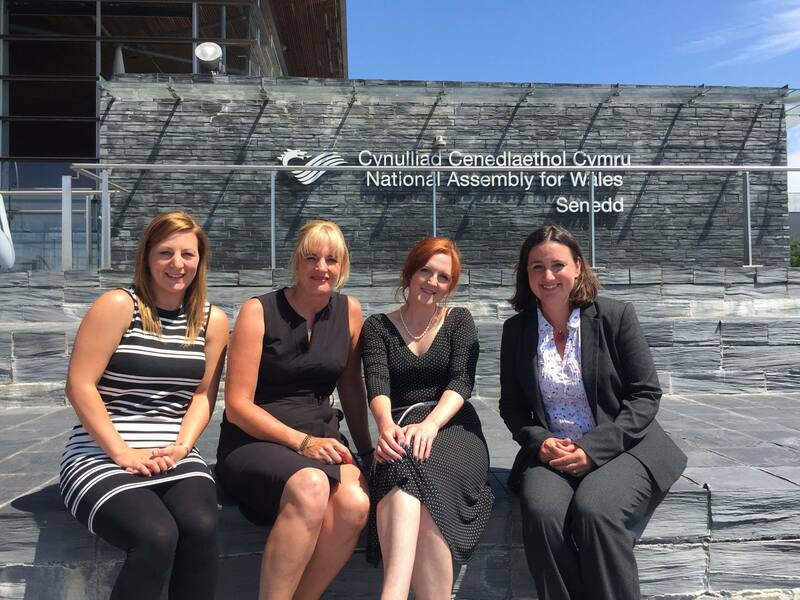 APP were invited to the Welsh Assembly this week to give evidence to the Children, Young People & Education Committee about Perinatal Mental Healthcare in Wales. 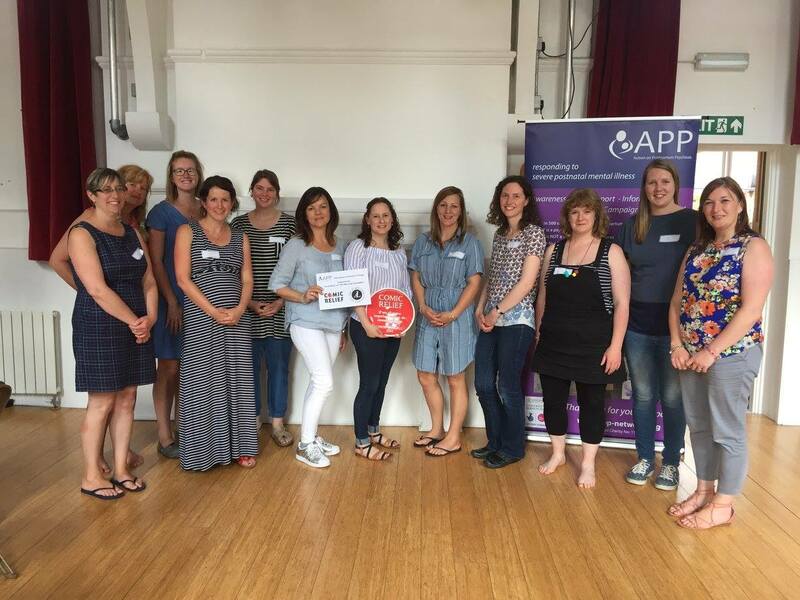 APP’s Director, Dr Jess Heron and North Wales Regional Rep, Sally Wilson attended for APP and Charlotte Harding (who is also APP’s S Wales Rep) attended with Barbara Cunningham on behalf of PMH Cymru. The aim of the inquiry is to consider how Perinatal Mental Health services are currently provided and how the Welsh Government can improve services for mothers, babies, fathers and families. The Committee wanted to find out how services link together, including specialised perinatal mental health services, maternity services, general adult mental health services, inpatient mother and baby units, parent and infant mental health services, health visiting, clinical psychology, and midwifery services, GPs and the extended primary care team, role of the third sector and local support groups, and private providers of services. Jess and Sally explained the critical need for a Mother & Baby Unit in Wales. They gave evidence about the importance of high quality training in PP for all health and social care professionals that come into contact with pregnant and postnatal women. They explained to the committee the importance of peer support to women and families affected by PP, and outlined how this could be provided in Wales. You can read APP’s Wales report here and watch via Senedd TV here (around 2 hours in). 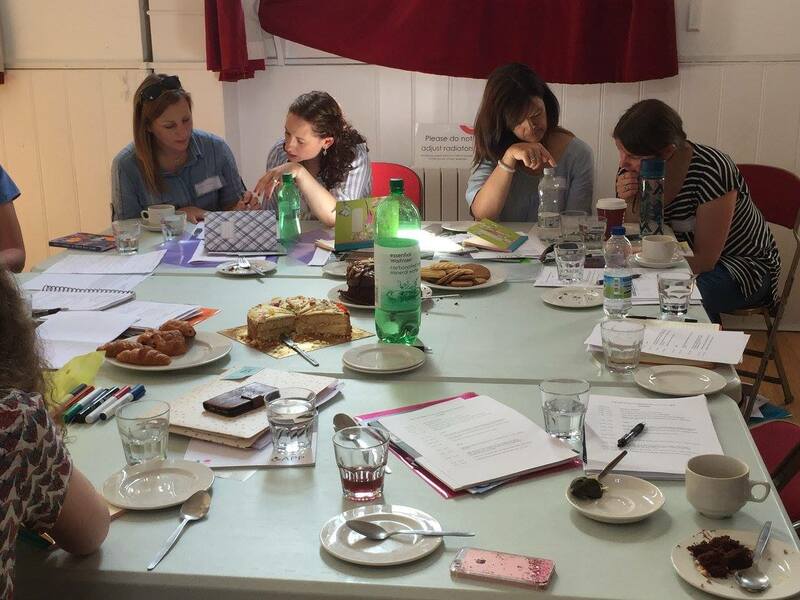 In June we were able to train 8 new Peer Support Volunteers. It is amazing to have the new volunteers up and running to ensure our Peer Support Service can continue meeting demand from mums and families affected by PP, both on the PPTalk forum, and in 1:1 messaging. It was a wonderful day and really special to be together as women who have had PP and share our experiences. Three of our newly trained Peer Support Volunteers told us how they felt about the training day. Kat: Since the training, I’ve felt empowered and supported to provide responses on the online help forum, and to take on my very first “one to one” email support case. It’s not always easy. Sometimes peoples’ problems seem more complex than *just* PP. And of course everyone’s experience differs wildly. But there is always a way to empathise and reach out to others through our shared experience. And it is incredibly worthwhile and satisfying work. I’m really grateful for the opportunity to support others through this illness. When I was dreadfully ill myself my husband found the APP forum and received amazing support through it: practical, empathic, specialised and ongoing for many months. And now I can start doing the same for others - as a family, we have come “full circle”! 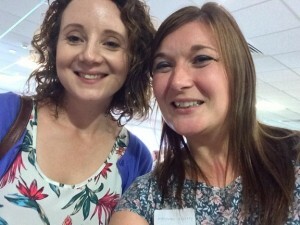 Claire: It was really amazing to meet and spend a whole day training alongside other women who have suffered Postpartum Psychosis and to join an online community of peer supporters who are rallying together to transform their individual traumatic experiences into something positive for other people. I feel confident after the training that I know how to look after myself whilst being able to provide some lived experience advice and support to those who ask for it. I feel very honoured to have been given this training and I hope to provide the kind of help I needed at my worst point of the illness. Sabine: The reasons for my motivation in taking part in the ‘Peer Support Training’ I guess are multi-layered, unique and personal, - in a way signifying a milestone of where I have been and where I am today. I definitively wanted to feel more reassured and cushioned when responding to mums and family members on the forum. When joining the APP forum I did not feel on my own anymore; the numbness inside me had vanished, - the lid was opened and I was able to talk to compassionate and kind ladies on the forum. Now there is a ‘SENSE OF BELONGING’, since meeting those very special women, not only the ones who organised the workshop, but the 7 other newcomers, who wanted to become volunteers. I feel happy, because my story is out there and shared by other females. I feel as if I have a voice. I have been able to tackle London and met some wonderful women, who were strangers to me. I would like to thank APP and everybody involved for the location and choice of venue, the participation and contribution of workshop members, ‘the individual and special support’ before and during the event, enabling and creating a positive and relaxed atmosphere, but especially the superbly organised and very professionally-led workshop by Jess, Clare, Hannah, Ellie & Amy. Our Peer Support Service is kindly supported by Comic Relief, The Allen Lane Foundation and the generosity of individual donors and fundraisers. 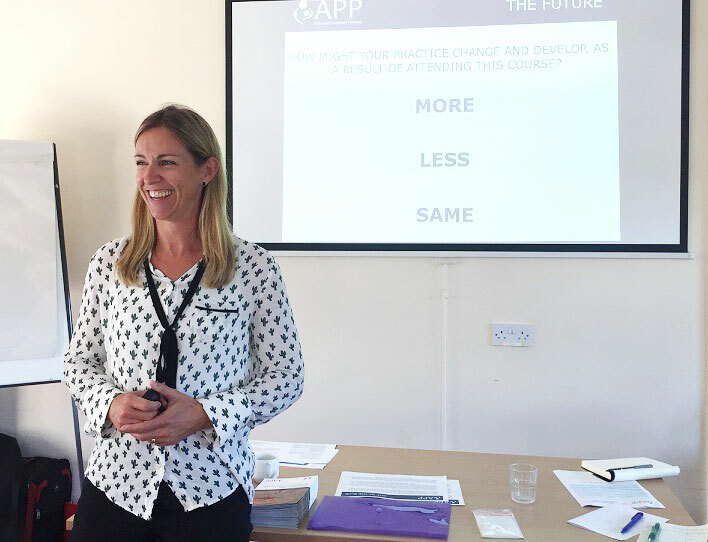 APP’s Expert by Experience sessions continue to be sought after and our partnership with Institute of Health Visiting (iHV) saw 4 further sessions after the successful pilot in Hull earlier in the year. “Women, who are experts by experience from APP, deliver on the iHV Perinatal Mental Health (PMH) programmes so all the health and social care professionals we train understand what they need to do to best support women and their families”. The verdict from the inquest into the death of Alice Gibson-Watt makes for difficult reading and our thoughts and hearts are with the Gibson-Watt family at this dreadful time. Postpartum Psychosis is a shocking and severe illness and much more must be done to prevent such tragedies. More research is needed to understand the causes; more must be done to inform and support families; more awareness, high quality training, more funding, more compassion and understanding is needed. The BBC spoke to Anthony, the widower of Alice Gibson-Watt. 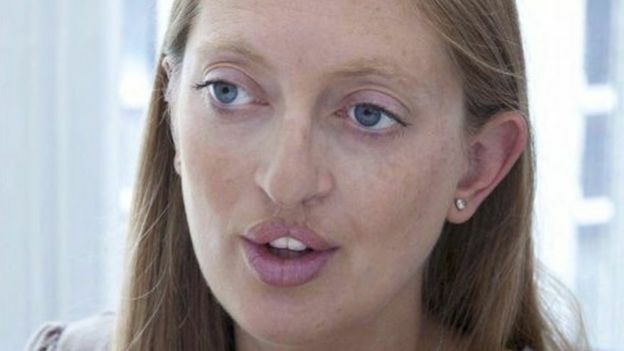 He said "I had no idea about postpartum psychosis". Watch here. We thank Alice’s friends, family, and workplaces for their support of APP in memory of Alice, raising funds to help us provide information, peer support, training, conduct research, campaign for better awareness, understanding, and specialist services for all who need it. Our volunteers feel this loss terribly. Many know that this story could also have been theirs. We are passionately committed to working in all the areas needed to prevent tragedies occurring caused by this severe, distressing, but treatable postpartum mental illness, which affects around 1-2 in every 1000 families after childbirth. For most women and families, the outcome is positive and families recover, but the reality is that mental illness and suicide are still a leading cause of maternal death. Our thoughts and hearts are with the Gibson-Watt family through this dreadful time. Postpartum Psychosis is a shocking and severe illness and much more must be done to prevent such tragedies. More research is needed to understand the causes; more must be done to inform and support families; more awareness, high quality training and compassion is needed. 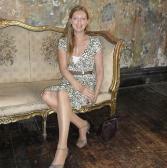 We thank Alice’s closest friend Katie, Alice’s family, Sotheby's and the Antiques Roadshow for their support of APP in memory of Alice, raising funds to help us provide information, peer support, conduct research, campaign for better awareness, understanding, and specialist services for all that need it. We wish things for Alice’s daughter could be different. Our volunteers feel this loss terribly. Many know that this story could have been theirs. We are passionately committed to working in all the areas needed to prevent tragedies occurring caused by this severe, distressing, but treatable postpartum mental illness, which affects around 1-2 in every 1000 families after childbirth. For most women and families, the outcome is positive and families recover, but the reality is that mental illness and suicide are still a leading cause of maternal death. If you would like to support APP, please donate to support Katie in her London Marathon attempt in memory of Alice - you can read her story here. Regional Reps: Report from the North! 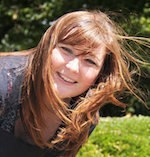 Hannah Bissett, Peer Support and Regional Reps Coordinator, tells us about a busy start to the year up north. This month I have also been to Hull, not once but twice. The first was on 10th March to contribute to the Institute of Health Visitors PMH Champions training, with Melita Walker. We are hoping that this will lead to further collaboration with iHV, to share further PP stories through Expert by Experience talks. 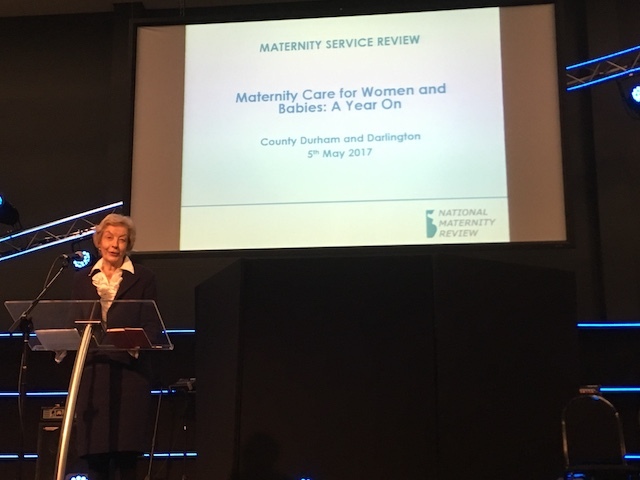 The second visit to Hull was on 24th March, as part of a 2-day PMH conference held by the University of Hull & Humber NHS Foundation Trust. I had an APP stand and presented my experience of PP as part of the second day. Both were well received and further links made – perhaps even for a third trip to Hull in the not too distant future. Well, it is the European City of Culture 2017!! 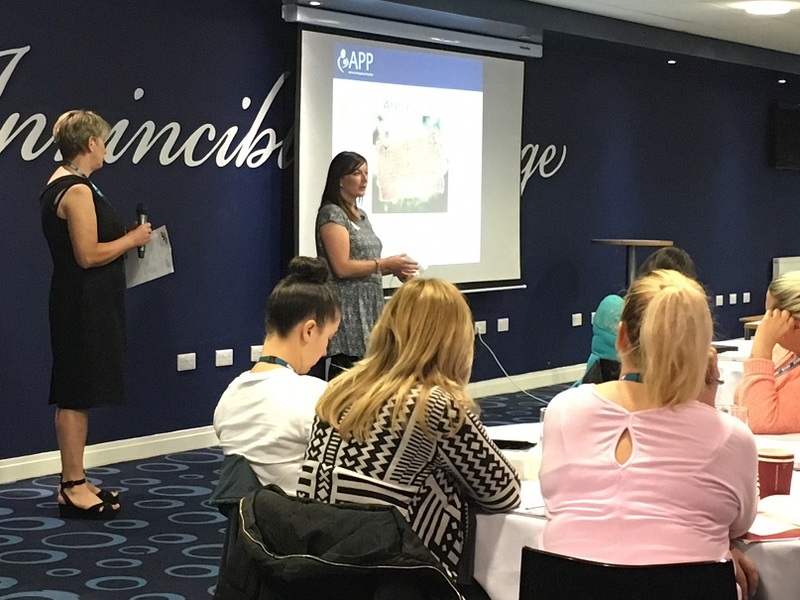 My link with Leeds MBU led to a session as part of training for their team on 16th March, together with staff who will be working on a new community perinatal team in Bradford. As one of the areas recently successful in phase 1 of the NHS England community funding, Leeds are “buddying” Bradford in designing and training for their service. It was also good to talk to the staff there about the Yorkshire & Humber Outreach service, which launched a year ago in March 2016, and possible gaps in the Y&H area where we could do further joint work to reach other maternity and general mental health teams. 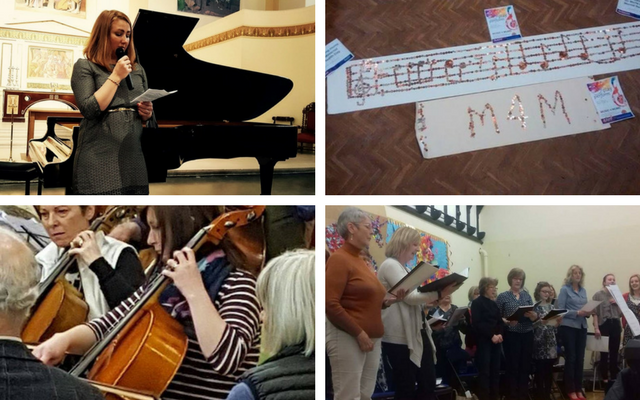 I have also been linking in with others around the country who are doing Regional Rep things for APP or are interested in getting involved, including Sally Wilson whose recent BBC Eye on Wales programme was such a powerful story, and well received. Looking ahead, I will be returning to County Durham & Darlington’s International Day of the Midwife in early May, and dropping in on the way home to “Hope” at Edge Bar, Stockton, a series of events to coincide with the Maternal Mental Health Awareness week, run by a local PMH group www.raindropstorainbows.co.uk.